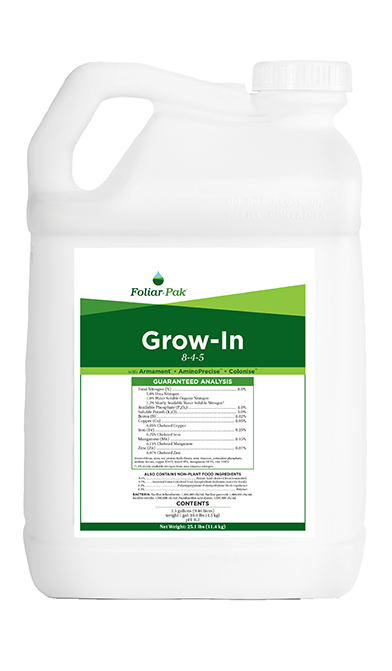 Foliar-Pak® Chloroburst L is a highly concentrated liquid supplement that supplies specially chelated iron, manganese, and zinc in a form that is available to ornamentals and turf even in high soil pH. Plants grown in poor soils and soils of high pH often become discolored and stunted due to micronutrient deficiencies. 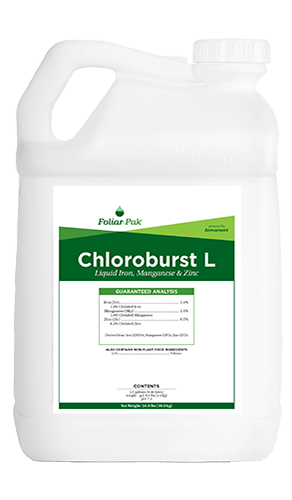 Chloroburst L is designed to treat some of the most common micronutrient deficiencies in turf and landscape sites. Chloroburst L is a premium blend of specialty chelated iron, manganese, and zinc for soil application. These nutrients remain plant available even in soil pH levels up to 10. 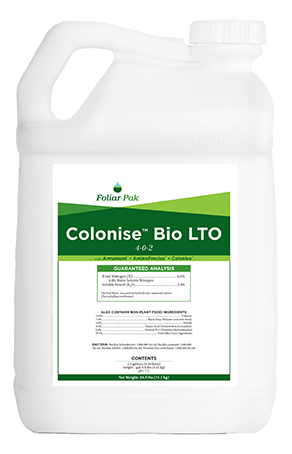 One timely application of Chloroburst L will reverse iron, manganese and zinc deficiencies. Provides long-lasting color for trees, ornamental plants, and turf. Micronutrients are chelated specifically for root absorption. 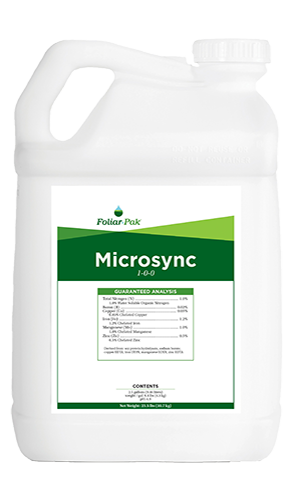 Nutrients remain available for lengthy periods even in hostile soil conditions. 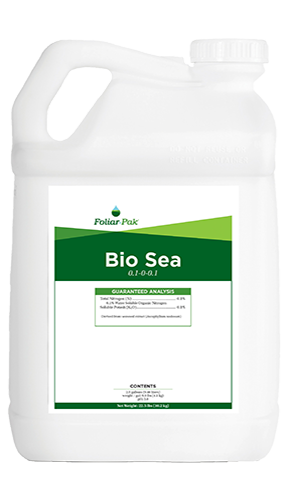 Provides essential nutrients for chlorophyll production. Zinc is crucial for apical meristem activity which allows plants to initiate new root and shoot growth. Armament technology increases nutrient uptake and ensures predictable nutrient availability by preventing negative interactions and chemical changes in the solution and in the soil.